Florida’s skating scene is one to be rivaled, and only the best gear will do. 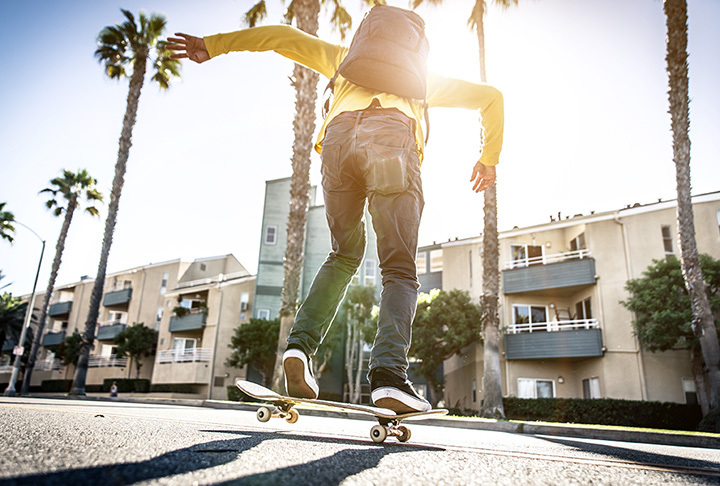 Luckily, the Sunshine State is teeming with quality skate shops that not only provide everything you need for a stellar skating experience, but also the expertise and know-how to give you a better skating experience. Skaters of all skill levels should head to these 10 best skate shops in Florida. Serving skaters since 1975, this hometown skate shop can special order anything you need to complete your experience. Decks, trucks, wheels, bearings, hardware, safety gear, you name it, they’ve got it either stocked in store or can get it for you quickly. Their fans love them because of the high-quality service and the personal expertise offered in every interaction. It’s tough to compete in Miami’s skating scene, but Hive Five Skateboards knows what skaters need and expect from a local skate shop. Here you’ll find all the top skateboard brands, as well as custom made boards. They’re also extremely knowledgeable about the area and can help you find the perfect spots to hone your skills. If you’re looking for variety, you’ll find plenty of it here. They’ve got everything to create a unique skating experience, along with priceless knowledge to help you make the most of your purchase. Skaters love supporting them because they give back to the skating community. You’ll feel like a regular once you walk through their doors. The shop has a huge selection and its layout makes it easy to find what you’re looking for. Here you’ll dealing with fellow skaters who take pride in creating a personalized experience for each customer. And if you ever wanted to learn how to grip your board, you’ll learn everything you need to know here. Whether you prefer longboarding or traditional skateboarding, you can get a great board and all the accessories here. This shop has been a pillar of the local skating community for decades and understands the unique needs of skaters in the area. Their fans rave about the service here—the staff goes above and beyond to make sure you get the right gear the first time. Specializing strictly in skateboards, no one knows skaters like Block Skate Supply Shop. You’ll find everything you need to create a custom skateboarding experience, including all the right gear to make you look good while you practice your tricks. The team here is truly dedicated to the Jacksonville skating community and as just as passionate about the sport as the people they serve. The heart and soul of skating lives at Phaze One. You won’t find a better selection of equipment, nor more dedicated customer service. They’re experienced in helping beginners choose the right gear, and also provide plenty of options for seasoned skaters. It’s a personalized experience from start to finish, and you’ll want to make this sweet spot your go-to resource. High-quality skateboards are the focus at this standout skate shop. They feature their own line of 561 gear alongside top brands in apparel and equipment. Their fans have been known to drive hours for the shopping experience here. If you’re looking for the best advice from people who know their stuff, you need to visit Skateboard City. They focus not only on the products they sell, but also the experience, both in store and while you’re putting your new gear to the test. Whether you need to make a purchase or simply need expert advice, you’ll be glad you came here. Don’t let the beachy exterior fool you—they may specialize in surfing, but they’re equally talented in serving the longboarding community. Here you rent your pick of longboards or skateboards for a day or even the whole week.